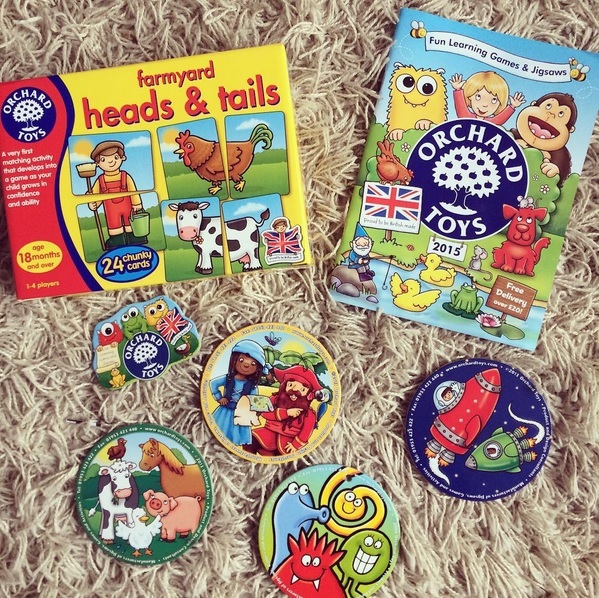 As a Mummy and a blogger there are many brands that I absolutely adore and actively support on social media and Orchard Toys are one of them. We have been working along side them for a while now and are lucky enough to be one of their official testers. 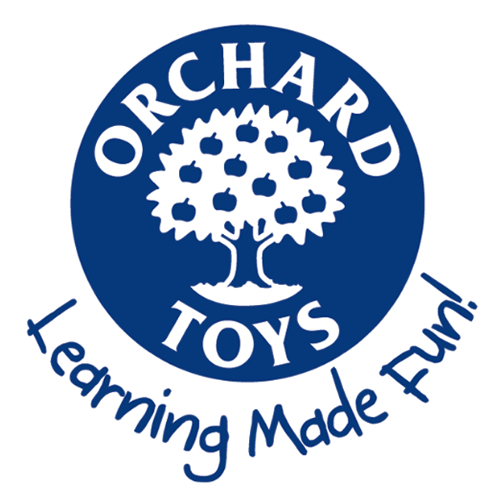 Orchard Toys specialise in educational toys, puzzles and books which aren't just great aids for learning but are super fun too. They release new products often and we recently received one of their newest puzzles to review. 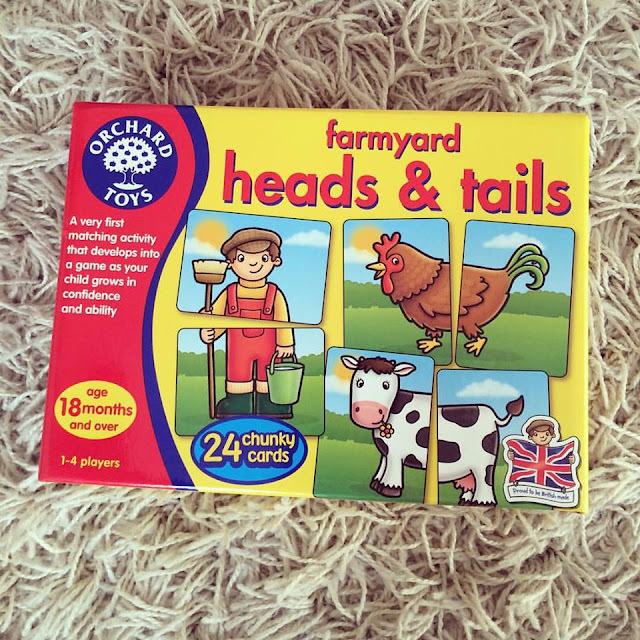 Farmyard Heads & Tails is a puzzle which is recommend from 18 months. 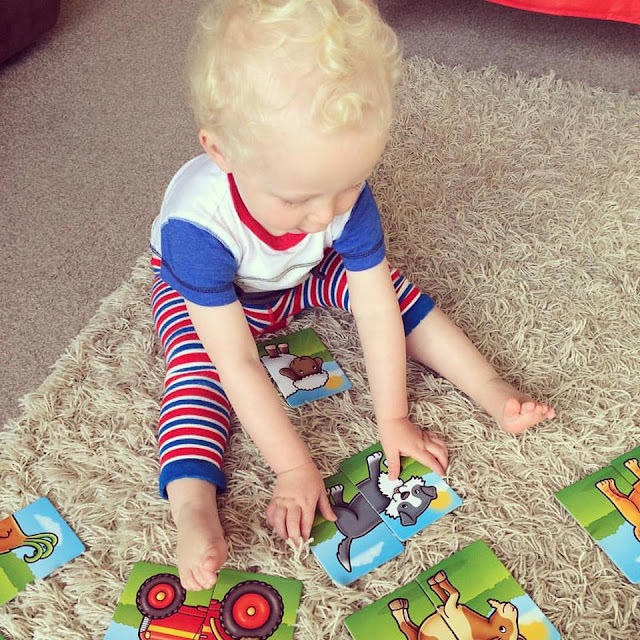 It is a great starter puzzle to introduce to your toddler when you feel they are ready. It's a fun matching game which becomes more and more entertaining as your little one develop their confidence and ability. Farmyard Heads & Tails is an easy to understand and quick to learn activity and one that Noah has thoroughly enjoyed. He still needs a lot of help and encouragement when it comes to making a match but puzzles aren't his strong suit just yet. At £7.50 it's a steal because Orchard Toys are products that last. Not only are they great quality and well made but they also last years because each activity grows with your child. I know that Noah will be having fun with this puzzle for years. Orchard Toys have been kind enough to offer you guys the chance to win one for yourself. All you need to do to enter is use the Rafflecopter form below, good luck! We love Shopping List! It's great! I love Dinoaur Race - we have it and it is fab! the post box game looks fun! I remember playing tummy ache when i was a little girl so that has to be my favourite! Robot Run looks so much fun! Old Macdonalds Lotto looks fun! We borrowed Counting Caterpillars from nursery. My little one enjoyed it. Shopping List is my son's favourite. The Big Alphabet Jigsaw is my favourite! We have shopping list and it is such a great game! Insey Winsey Spider looks fun! Love the big dinosaur jigsaw. 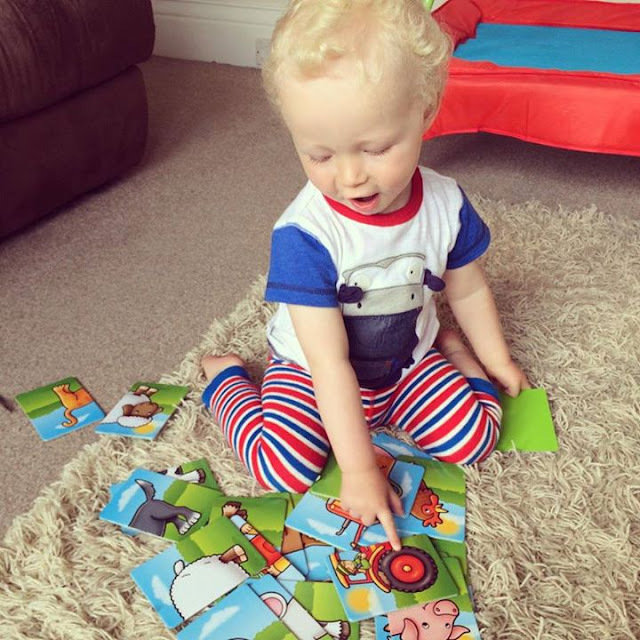 I love the jungle jigsaw, my son would love it! Dotty Dinosaurs is our favourite. I like old Macdonald lottery! Love the look of Jungle jigsaw! The Shopping List Game, it's such a classic game now and we love it. Bus Stop. My daughter got it for her birthday. We've tried the flash cards which my twins loved and they've been a big help with my niece who's speech had been a bit slow. Love the look of monster bingo we love orchard games so great for learning and fun. I love the look of 'Shopping List' as my daughter loves memory games and this is something she can relate to (having been dragged to do the weekly grocery shop weekly). Love playing Quack Quack, so much fun. My daughter loves the Shopping List Game, but will insist on telling me where my list items are hidden, even though I am sooo absent minded that I forget again straight away. My favourite is Quack Quack! The Post Box game looks like fun! Dinosaur Race looks perfect my dino mad little boy! Old Macdonald Lotto looks great.my daughter would love it. Baa Baa - so colourful!